God ensured the writing of the Old Testament to provide witness of the interaction of His people with Himself. When the people honored the Lord, He provided bountifully. When they did not, judgment was always to come. Maybe not right away because God is ever so merciful. Since there was no written Bible in ancient times, the people of Israel relied upon true prophets. People who heard direct words from God. That is what it means to be a prophet. To hear directly from God and speak what He has said. Since we know God does not stutter and is not a liar, everything prophesied must become true or the person has spoken presumptively for the Lord and can be discarded as a false prophet. Unfortunately in modern day Charismania they like to pretend that a 65% accuracy rate is somehow the markings of good prophet. This of course is biblically absurd. Just like today, there were plenty of false prophets in the days of the Old Testament. We remember the 450 prophets of Baal and the confrontation with Elijah. 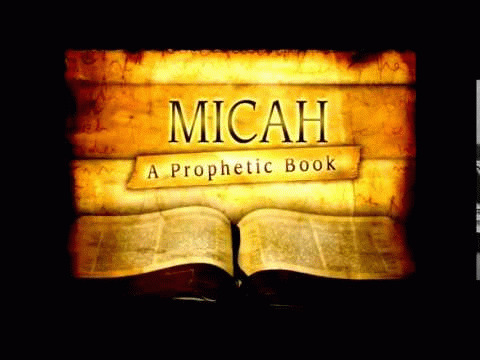 There were also the 400 false prophets for King Ahab that Micaiah revealed. Then throughout the writings of the actual prophets we see God deliver stern warnings to His people about the false teachers and prophets they have allowed. We ought to take note of these in light of the same circumstances playing out with the church today. Take these words well beloved. If men having the Lord among them will not keep them from doing evil, it can never secure them from suffering evil for doing so. If our sacred places are polluted by sin, they will be wasted and ruined by the judgments of God. Jennifer Leclaire claims God showed her He was going to set the prophets on fire and she took it metaphorically. Perhaps she should have reflected to Revelation and taken it literally.